Is there anything more frustrating than having rosacea? You practically have to walk around with a red flush all over your cheeks and nose. And do we want to talk about those acne-like bumps? They’re everywhere! But, wait! Not all hope is lost. You can get rid of the redness and pimple-like bumps and everything else rosacea throws at you and get back your clear, flawless skin. How to tell if you have rosacea? First things first. Let’s make sure you have rosacea and not something that looks like it. Check, check, check? You’ve got rosacea. The best thing you can do for your skin is go to a dermatologist. She can prescribe you the best rosacea treatment out there. Yep, even the prescription stuff you can’t get at Sephora. Cleansing is the foundation of a good skincare routine. It melts away dirt and impurities, leaving skin clean and ready to absorb whatever skincare product you use next. Cleansing is also the most dangerous step in your skincare routine. A cleanser that’s too harsh or has a high pH (above six) will strip too much oil off your skin and destroy its protective barrier, leaving your skin drier and more prone to irritation. The best cleanser for rosacea is gentle, moisturising and ph-balanced. Look for cream or milk formulas that replenish oil as it’s stripped away. As a rule of thumb, if your skin feels tight and dry after washing, it’s too harsh for you. While we’re talking cleansers, avoid bar soaps like the plague. They leave a residue on the skin that can easily irritate it. Ugh. I’m a fan of removing any skincare product that’s not absolutely necessary – especially if you’re dealing with rosacea. Toners fall in this category. Heck, for a rosacea treatment, they can be downright dangerous! It’s true a hydrating toner can help in some cases. But those toners loaded with alcohol, witch hazel and not much else? Leave them on the shelf. They’re a recipe for dryness and irritation and can worsen your rosacea. Avoid! Did you know that UV rays can trigger a rosacea flareup? Yep, wrinkles, dark spots and cancer weren’t enough. UV rays can inflame your skin so much, it gets all red and swollen. Sunscreen isn’t optional. It’s the cornerstone of any good rosacea treatment. But… not every sunscreen will do. Opt for mineral sunscreens with zinc oxide. I know they’re thick and leave a white cast behind but they’re super gentle and don’t irritate skin – and gives you another flareup! P.S. If you’re outside the US and have access to sunscreens with Tinosorb and Mexoryl, cool. They’re good alternatives to zinc oxide for rosacea sufferers too. When you’re shopping around for skincare product – be it a serum, moisturiser or whatever – make sure it’s loaded to the brim with antioxidants and soothing ingredients. Antioxidants like green tea and vitamin C neutralise free radicals before they can trigger the inflammation that destroy collagen, proteins, cellular DNA, and trigger a rosacea flare-up. Most antioxidants – like green tea – also have anti-inflammatory properties that soothe irritations and calm down redness. Other soothing ingredients to look out for are aloe vera, allantoin and oats. I’m a huge fan of exfoliation. Once you get those dead cells off your skin, your face is softer. Your complexion’s brighter. Your pores get smaller. Your wrinkles and dark spots slowly fade away. If you’ve got rosacea, the best exfoliant for you is salicylic acid. This oil-soluble exfoliant has anti-inflammatory properties that reduce redness and sooth rosacea. Whatever you do, avoid scrubs. They’re too irritating for you. Paula’s Choice Skin Perfecting 2% Bha Liquid ($29.00): available at Nordstrom and Feel Unique. The Ordinary Salicylic Acid 2% Solution ($5.30): saailable at Asos, Cult Beauty and Sephora. I already told you about alcohol and witch hazel. But they’re not the only irritating ingredients lurking in your cosmetics. This may be obvious but… the best rosacea treatment is to avoid anything that gives you rosacea in the first place! 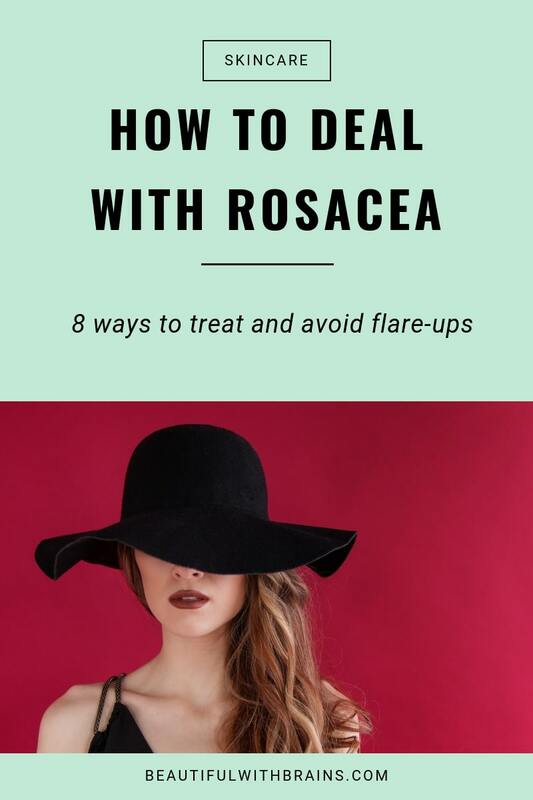 Preventing flare-ups is all well and good but what happens when your skin is in the middle of a rosacea episode? The best rosacea treatment in this case is prescription medication like Finacea, Renovax, Novacet, MetroGel, Metronidazole and Accutane. Only a doctor can prescribe them. Make that appointment. What’s the best rosacea treatment for you? Share your experience in the comments below. This is good to know. My boyfriend actually suffers from this, in a mild form. Kiss & Make-up, I’m sorry to hear that. I hope these tips will help him. Nope, I don’t fortunately! How to deal with it makeup-wise (since you covered all of how to take care of it skincare-wise), try a peachy blush as opposed to pink or more beigey ones to cancel out the redness! I have been using Eucerin ultra sensitive cleanser, Eucerin green tinted day cream with spf 25. I use the Eucerin filler range at night plus the concentrate. This has solved the raised bumps issue. They look like light blotches – this is an improvement! Makeup wise I’ve just started with Bourjois 123 colour correcting foundation and it covers very well and is buildable. Downside is that it is quite a matte finish, but at least it covers. Taken me the best part of a year to discover these. Before that I was using laroche posay which helped a lot with general skin redness but I still had the darker coloured areas which were hard to conceal and weren’t improving. Hope this is helpful for fellow rosacea sufferers with mature skin. Chrissie, thanks a lot for sharing your experience and recommendations. I’m sure others will find it very useful. 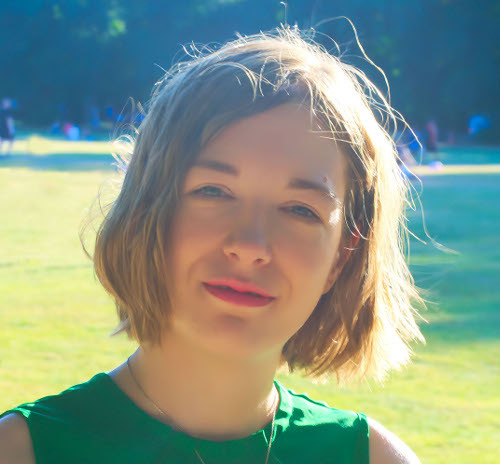 For me, the redness and bumps seem to come more with stress, which can’t always be helped. But a green tint primer helps, as well as a facial spray when my face feels hot during the day when I really need it. Micellar water, too, I’ve found is a very very gentle cleanser to use that doesn’t irritate the skin. Jen, have you tried taking up meditation? It helps a lot with stress. Glad you’ve found some gentle products that works well for you. Thanks for sharing your recommendations. suki skincare really helped calm my blotchy red cheeks especially (but also nose, forehead, chin). I was then able to see the broken capillaries underneath, did one IPL treatment w/ Derm, to lessen them and continued with Suki to keep the now mild rosacea under control (it’s been many years now). Suki products I used for dry rosacea skin: purifying transformative cleanser/masque alternating w/ suki moisture lotion cleanser or image vital C cleanser, suki balancing/clarifying toner, suki nourishing day cream day and suki nourishing oil at night. this is changing now that I’ve got anti-aging to be more concerned with. Calyo, thank so much for your sharing your experience and your recommendations. I’ve suffered from Rosacea the last 10 years. I wonder, if there is a link between Rosacea and fungal acne? Karina, in both cases, inflammation plays a big role. Helen, thanks so much for sharing your experience, it’s so helpful. So glad you’ve found something that works for you. Azelaic acid is a miracle worker, isn’t it? I have rosacea that was flaring up after using an expensive rosacea serum of dermalmd for a year. Within a week, I saw a significant improvement in redness and blood vessel appearance. This works as well, if not better than the $150 prescription I was using. Heather, glad to hear you’ve found something that works so well for you.